1: Would jo hai ye will ka mazi hai. She said, "It will rain." She said that it would rain. 2: Mazi mein aise kam jo ap aksar kiya karte the. When I was young I would do my homework every evening. Jab me chhota hota tha to me har sham ko apna homework kiya karta tha. Would that I were rich. I wouldn't drink dirty water if I were you. Mein ganda pani kabhi na peeta agar me apki jaga hota. Why would anyone drink dirty water? Koi ganda pani q pi'ye ga? 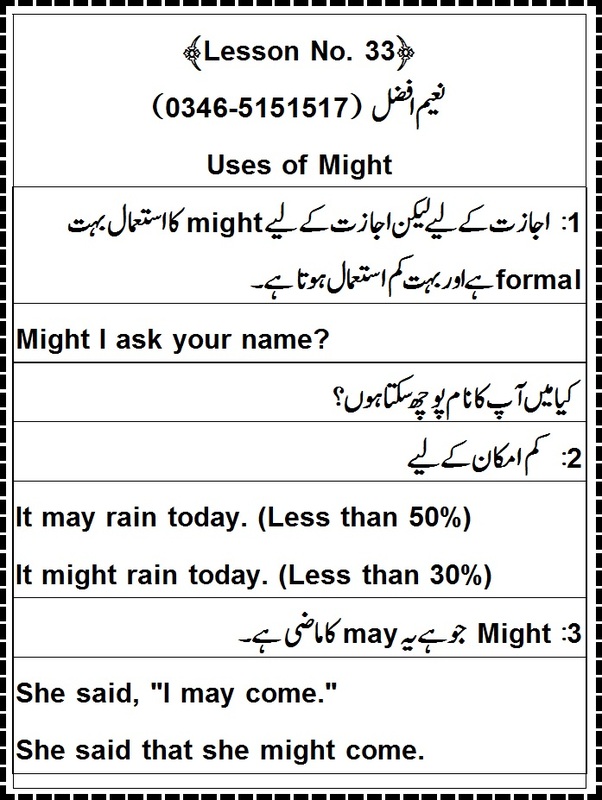 1: Ijazat ke li'ye lekin ijazat ke li'ye might ka istemal bohat formal hai aur bohat kam istemal hota hai. Kya mein apka name puchh sakta hu? 2: Kam imkan ke li'ye. 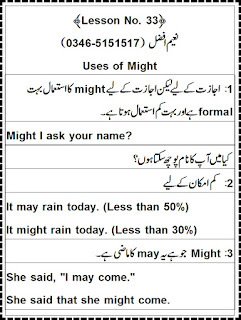 3: Might jo hai ye may ka mazi hai. She said, "I may come." She said that she might come. May I come in, madam? Kya mein andar a sakti hun, madam? Khuda ap ki umar lambi kare. She ain't (is not) going. I ain't (have not) got no money. Await ko direct object ki zarurat hoti hai aur Await ka object koi shakhs nahi balke koi cheez hoti hai. Mein apke jawab ka intizar kar raha hun. Wait ko direct object ki zarurat nahi hoti hai. Mein apka intizar kar raha hu. 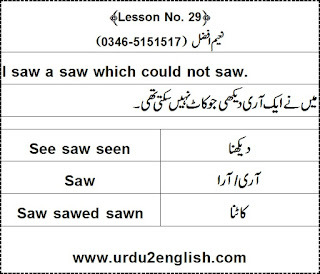 "I saw a saw which could not saw" is a tongue-twister. Translation: Mein ne aik aari dekhi jo kat nahi sakti thi. 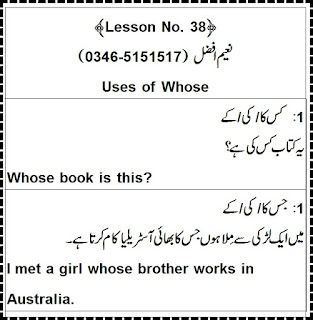 Irregular Verbs wo hote hain jin ki 2nd aur 3rd form mein -ed na aye. 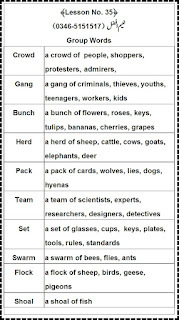 Irregular verbs ka purana naam strong verbs hai. 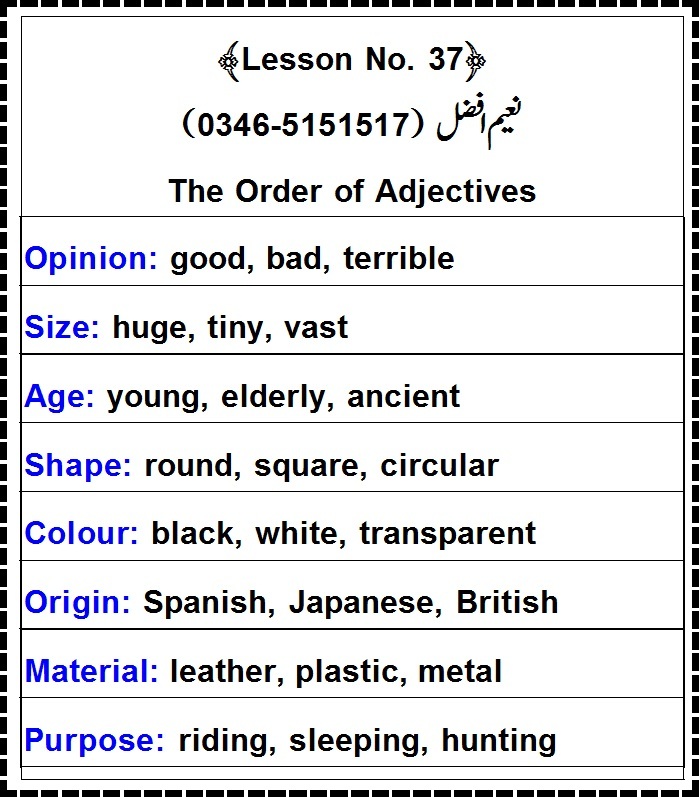 Adjectives ki bohat si aqsam hoti hain. Un mein se kuchh darj zail hain. 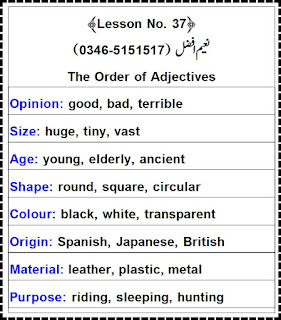 Adjectives of Quality or Descriptive Adjectives hamain nouns ke bare mein btate hain. She is an ugly woman. 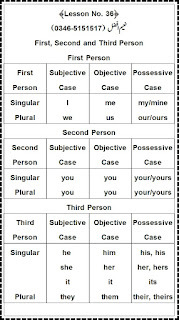 Regular Verbs wo hote hain jin ki 2nd aur 3rd form -ed laga kar bnayi jaye. 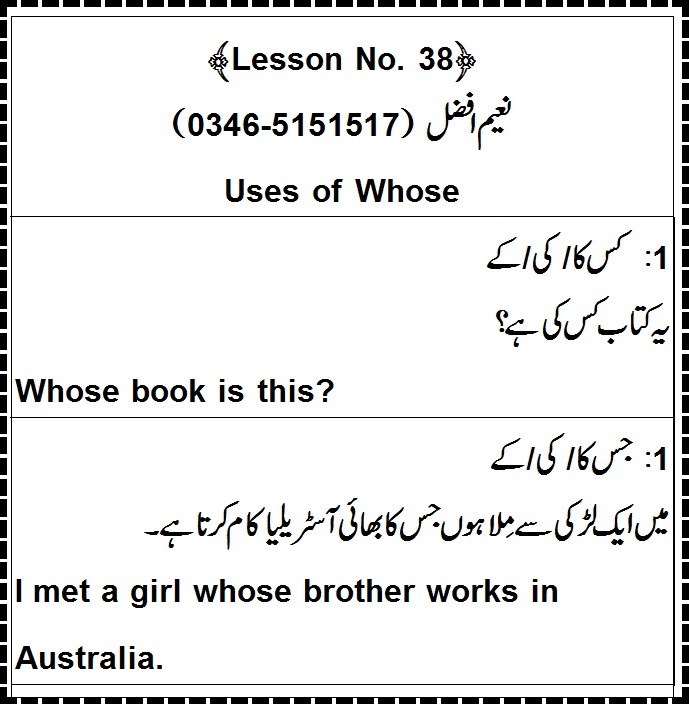 Regular verbs ka purana naam weak verbs hai. 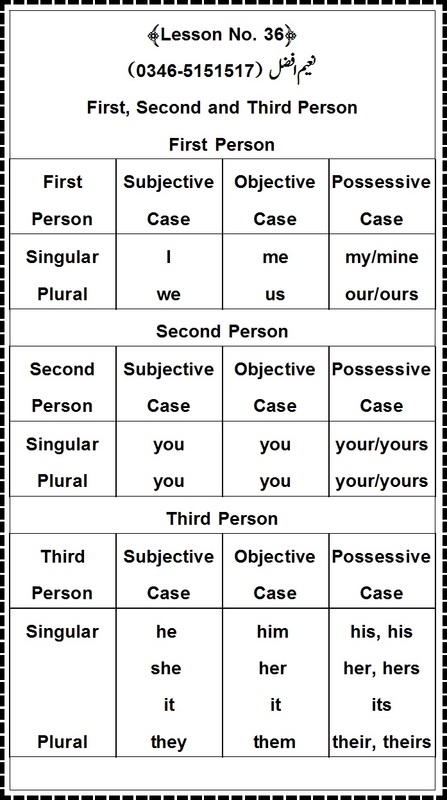 I, We, You, He, She, They ye sab personal pronouns hain. She is kneading the dough. Wo atta gundh rahi hai. Is jumle mein ap flour istemal nahi kar sakte hain kio ke flour sirf attay ko kaha jata hai jab us mein baqi cheezain mix kar ke gundha jata hai phir ap ko dough istemal karna pare ga.
Upar wale teenu jumle theek hain lekin pehla aur dusra jumla common hai istemal mein jab ke teesra jumla common nahi hai. 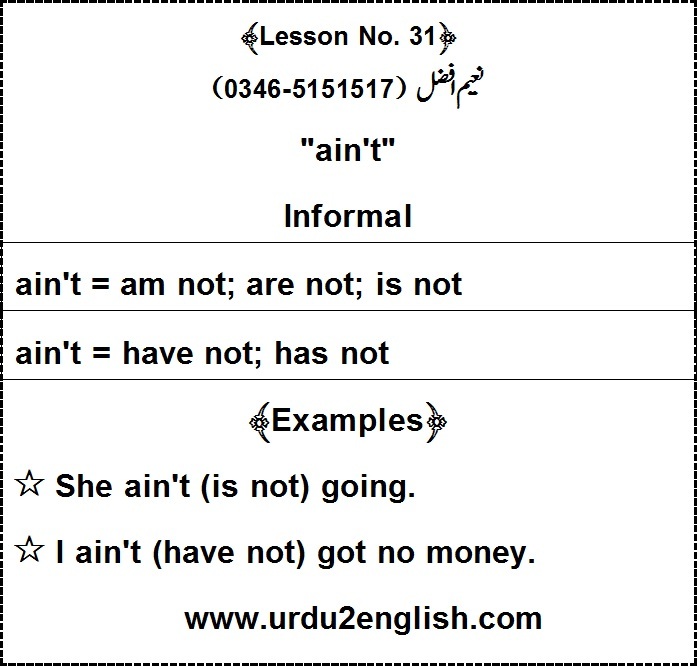 Prepositions ki bohat si aqsam hoti hain. Un mein se kuch darj zail hain. 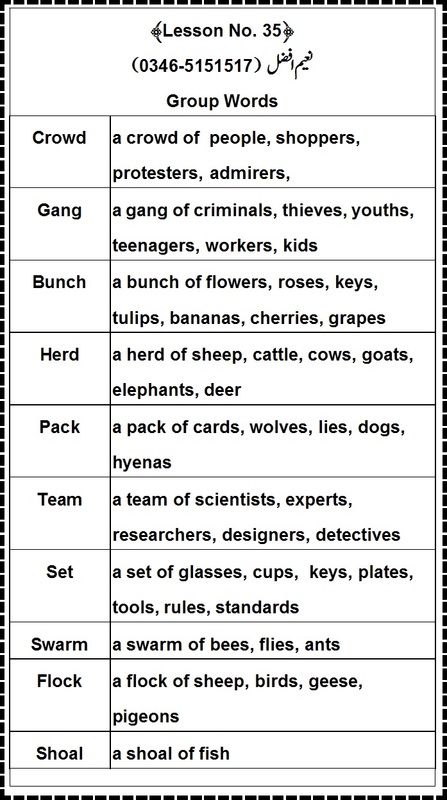 In, on, at, over, about, off, of, under, to, for etc. Within, without, outside, inside, beneath, below, behind, before, among, between, into etc. From behind, out of, outside of, from beneath etc. By means of, with regards to, for the sake of, on account of, in opposition to, on behalf of etc. Concerning, considering, pending, notwithstanding etc. 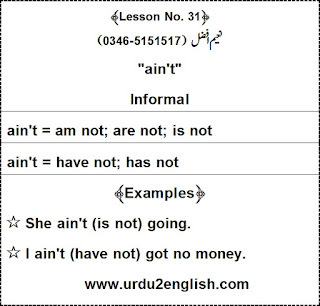 Adverbs ki bohat si aqsam hoti hain. Un mein se kuchh darj zail hain. 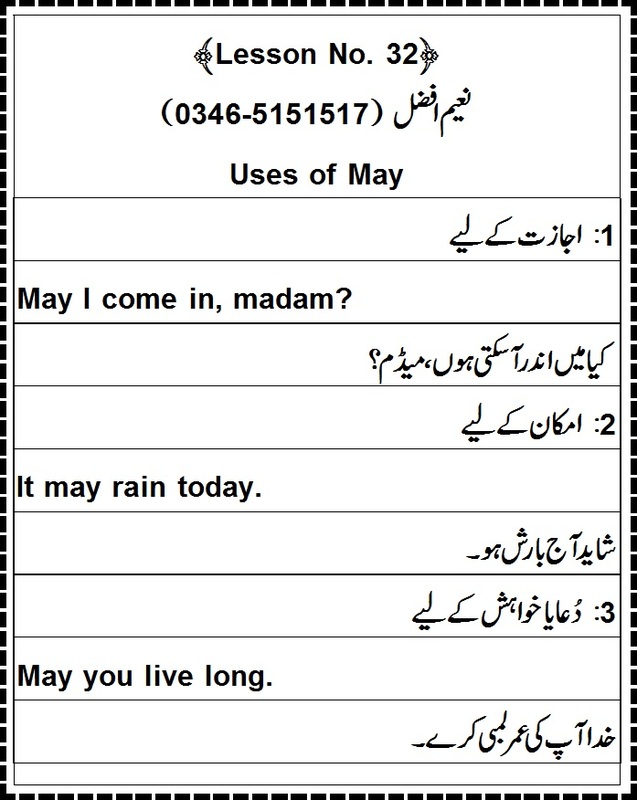 Adverbs of Manner hamain btate hain ke koi kam kis tara huwa hai. 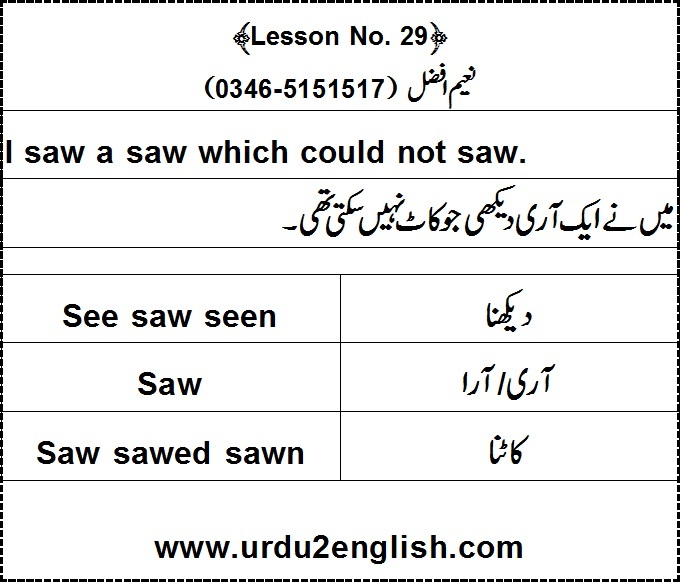 Adverbs of Place hamain jaga ke bare mein btate hain. 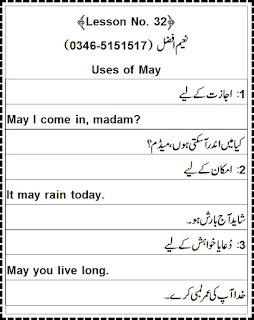 Adverbs of Time hamain waqt ke bare mein btate hain. Be used to doing something us waqt istemal kiya jata hai jab ap kisi cheez ko karne ke adi ho jate ho. She's used to drinking tea. Wo cha'ye peene ki adi hai.